Tiffany is an award-winning spokesperson, keynote speaker and television/radio host. She brings professionalism, enthusiasm and inspiration to your event through her presentations and interactive seminars. As a social media influencer and brand ambassador, she can help improve your organization’s image through radio, television, print advertising, social media and public appearances. Subscribe to her weekly motivational e-news and watch this site for an exciting announcement about a new book coming soon! If you’ve heard Tiffany speak, you know she talks about the importance of hand-written thank you notes! 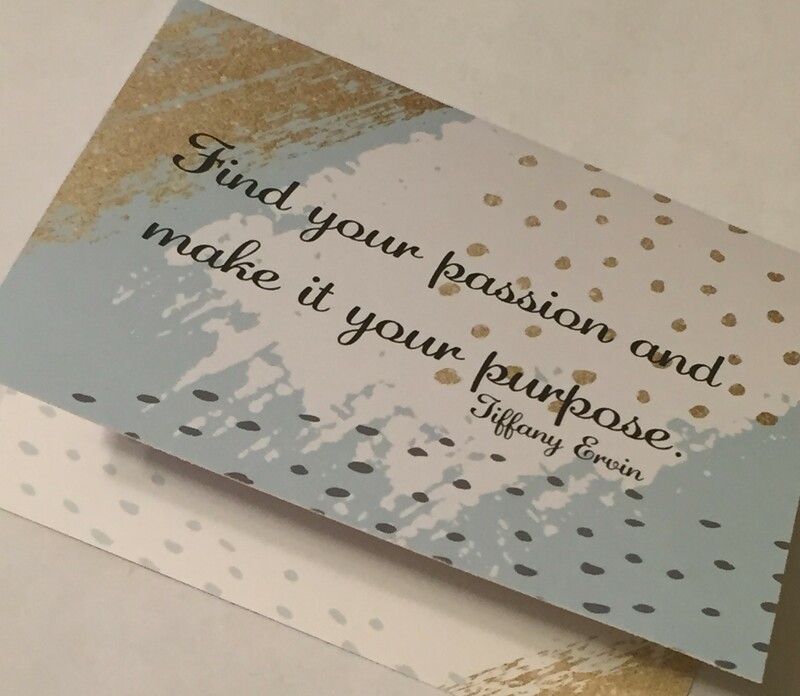 Now she’s making it easy for you by offering these beautiful notecards with her mantra – “Follow your passion and make it your purpose.” They are available for purchase here! They are blank inside and sold in packs of 10 (including envelopes), and a portion of all sales will be donated to The CART Fund to help find a cure for Alzheimer’s Disease. Interested in multiple packs? Contact us for information on combined shipping costs! !